Whilst I was standing at Hurst point, eyes glued to the water watching for Malcolm on Cisne, I was lucky enough to catch a close glimpse of Dee Caffari in Aviva! 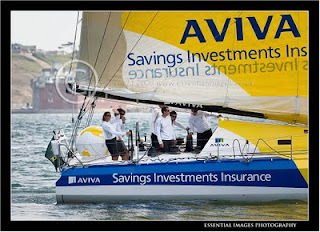 Her yacht came very close to shore and I was able to get a couple of good shots and I thought I would share them with you. 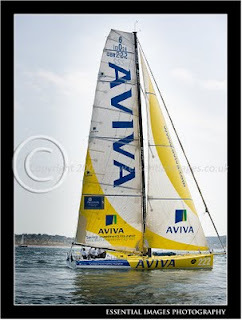 Aviva came 5th in class in the Rolex Fastnet. Congratulations to Dee and her team.